- Up to 20 one-year awards. - Premier Intern Scholarship – The top-scoring applicant of all received will be awarded the Premier Scholarship, a one-year scholarship of US$12,000 with a paid summer internship (summer preceding the scholarship). - Applicant must commit to a paid summer internship at a North American steel company or industry supplier and must be a citizen of the United States, Canada, or Mexico, or eligible for employment in a NAFTA country through a work permit. Note: Applicants are encouraged to seek information from steel companies at career/job events and may, at any time, accept an internship or co-op at a steel producing company or industry supplier. If an internship is self-placed by the recipient, the specific internship company will need to be approved. Please contact AIST prior to accepting a self-placed internship for approval. Acceptance of an internship at a company not specifically related to steel manufacturing will automatically disqualify the applicant. - The recipient will be disqualified if he/she rescinds an accepted offer of internship from within the program. - Applicant must receive a satisfactory performance review from the internship company, and maintain a 2.5 or higher GPA, to remain eligible for this scholarship. 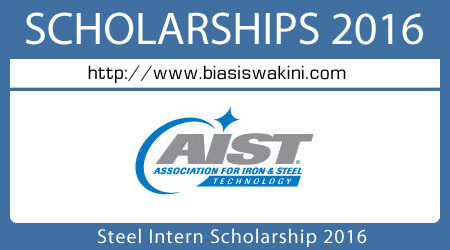 - Of the 13 scholarships offered without internships, some are named scholarships in honor of people in the steel industry who have made a significant contribution or achievement to steel technology. These awards will be assigned upon recipient selection. - Up to US$6,000 is offered for graduate students. - Students in the following engineering/engineering technology majors may apply: metallurgy, materials science, electrical, mechanical, chemical, industrial, environmental, computer science. - Applications will be accepted from university freshmen, sophomore and junior applicants. - Applicant must be enrolled full-time in a four-year undergraduate program at an accredited North American university. - Applicant should have a minimum cumulative GPA of 2.5 on a 4.0 scale. - Application, essay and recommendation letters should express a strong interest in the iron and steel industry. 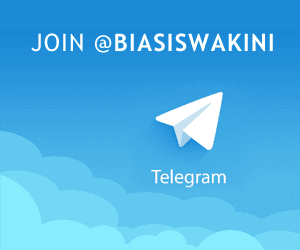 - By submitting one application, the student will be considered for all scholarships to which he/she meets the criteria, unless indicated otherwise. The application provides an option for internship or no internship. - Applicants will be automatically considered for a Steel Scholarship (no internship), if not selected for a Steel Intern Scholarship. 0 Komentar untuk "Steel Intern Scholarship 2016"